I think this probably has to be the easiest DIY project I have done in a while. 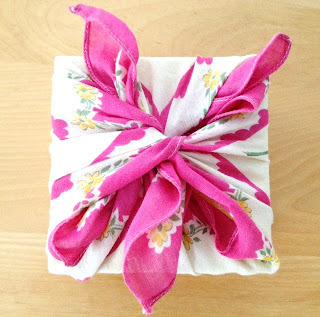 The last super easy project I did was probably the clothespin starburst but this is even easier than that one! 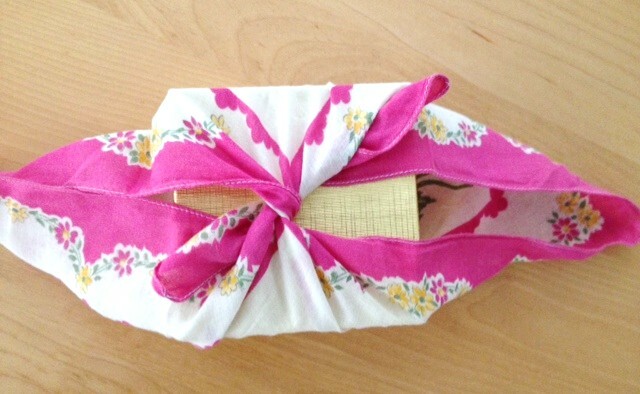 I love nothing more than being able to reuse something lovely from the past in a totally fabulous way. And I also really enjoy wrapping gifts. I love it even more than shopping for them. Coming up with fun and interesting ways of packaging is something I look forward to every single holiday. 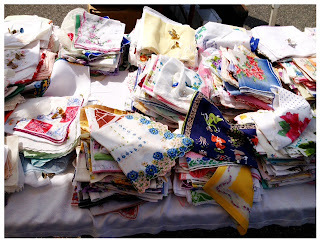 I happened upon a table filled with these vintage hankies during one of my flea market outings. What I loved about these the most was the fact that the gal selling them already cleaned and ironed each and every one of them. That was key, because we all know what these were used for back in the day (yuck!) and I was thrilled that someone had already taken the time to Oxy Clean the old cooties out of them. When I saw these vintage handkerchiefs, I was immediately inspired to pick some up and use them to wrap pieces of my jewelry as gifts for friends and family. The longest part of the project was the hour I spent going through each and every pile choosing my favorites. Because of course I had to look at each and every one of them. And then I had to go through the entire table one more time. 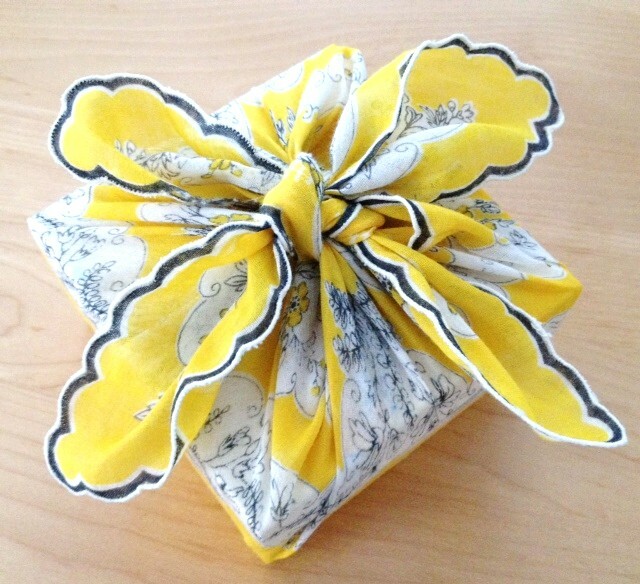 Ideally, you want to choose a hanky with a great pattern in the center as well as cool detail on the corners. I started by placing my square jewelry box in the center of the hanky like so. This box measures 1 3/4" high x 3 3/4" square. I think a square box at this thickness or slightly thicker works better than a skinny rectangle. I then took two corners of the hanky on the diagonal and tied them to each other only once. I did the same with the opposite corners. I then tied the same diagonal corners to each other one more time. This makes it more secure and structured while still allowing your gift recipient to easily untie and open to see the fab goodies you placed inside! I think my fave of the group is the yellow one. 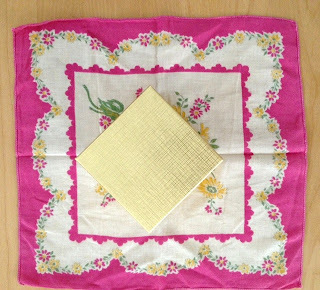 I am a little obsessed with yellow these days and the scalloped detail around the edge makes it look even more lovely! 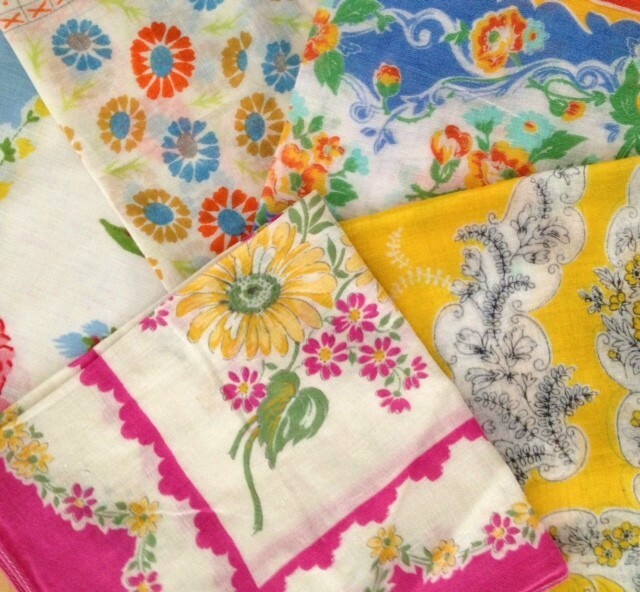 Depending on the hanky you use, these can look classic or modern. 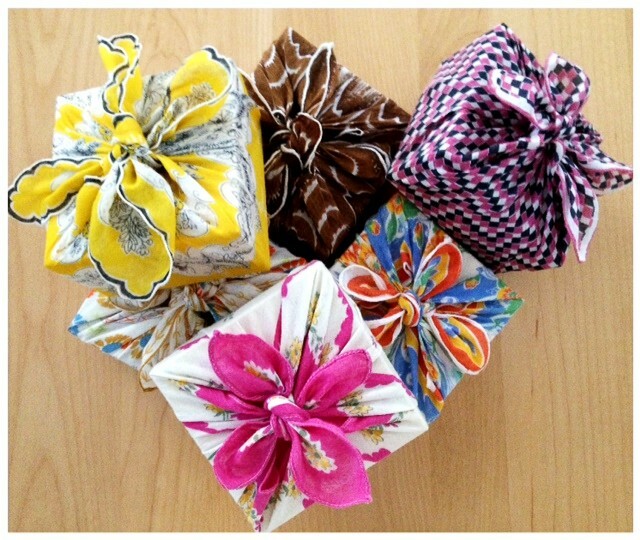 No tape, no string or ribbon of any kind is necessary as you have a built in bow! Perfect for upcoming Easter or Mothers' Day baubles or really any time of the year! Happy Spring! Hi! 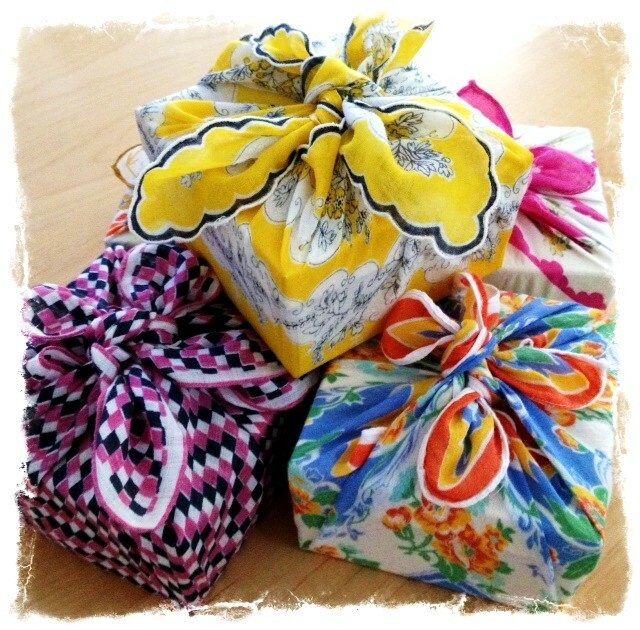 May I use this link in a post today about Zero Waste gift wrapping? I can tell you more details if you like. Very good information. Its really nice one. Thanks for your sharing. Great topic bro and amazing info good job bro! paragraphs with a very nice and neat arrangement I like the articles you create. There are tons of puzzle games that you can download for free in this category. Just pick one that interests you and start playing. The blog is really written very nicely.